Discover awesome, inspiring ways to use Minecraft in your classroom. One of the reasons Minecraft has been so popular in classrooms -- beyond students just flat-out loving it -- is its versatility. Minecraft has the utility and flexibility of a learning management system, without all the boring bits. It presents teachers and students alike with a sandbox of possibility for interest-driven, student-centered, project-based, and personalized learning experiences. Maybe the best thing of all, though, is that just about any classroom or lesson, no matter the subject, content, or objective, can make use of it. So whether you're already using Minecraft in your classroom or thinking about taking the plunge, check out the great ideas below for how to use Minecraft. There's sure to be something that'll inspire you. Please also let me know in the comments about your creative uses, especially if you have a lesson on Common Sense Education you'd like highlighted! Create galleries or exhibitions for students' work and ideas. Recreate fictional locations from stories, novels, films, and beyond. Demonstrate numeracy and numbers concepts with a custom MinecraftEDU world. Create scale models using ratios and proportional reasoning. Use Redstone and circuits to introduce students to Boolean logic. 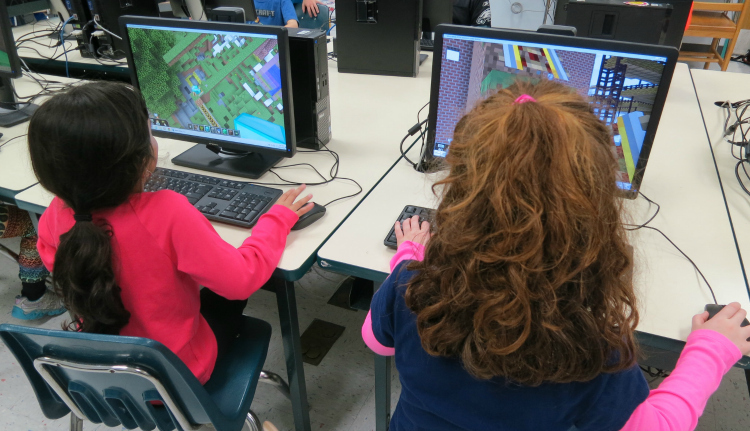 Work as a team to build a sustainable environment using a custom MinecraftEDU world. Create an immersive, spatial time line and tour of historical events. Work in groups to model different social/governmental forms and structures. Recreate local historical and cultural landmarks. "I HEART Minecraft" by Tom Maillioux. Used under a CC BY-NC-ND 2.0 license. "Minecraft After School" by Kevin Jarrett. Used under a CC BY 2.0 license.